The SPI communication method is the heart of the project besides the codes that controls what to display in the seven segments LED. In our setup, Netduino Plus acts as a SPI Master device and 8DSSSLED as a Slave. 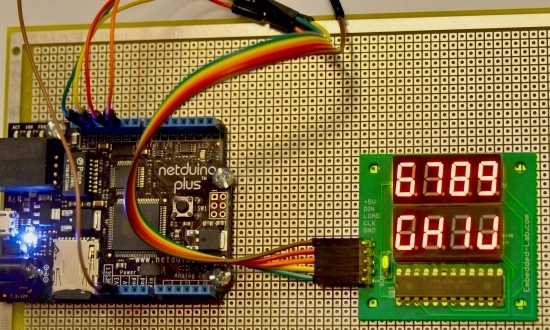 Among the several digital I/O pins of Netduino, Pins 11, 12 and 13 are designed to support the SPI Bus communication. Pin 12 is Master In Slave Out (MISO), pin 11 is Master Out Slave In (MOSI), and pin 13 serves as the master clock. In our project the Netduino Plus does not receive any data back from the slave device (MAX7219), so the MISO pin is unused. The MOSI pin (11) of Netduino goes to DIN of 8DSSSLED and pin 13 drives the CLK signal of MAX7219. 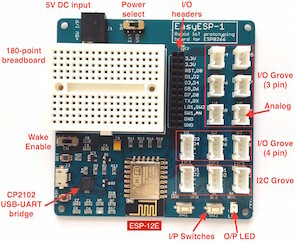 The LOAD signal (which is a Chip Select pin of MAX7219) of the 8DSSSLED board can be connected to any Digital I/O of a microcontroller. In our case we have specified this to pin 10 of Netduino. Since the circuit diagram and all the necessary details of 8DSSSLED is well explain here so allow me not to reinvent the wheel. The program basically focused around the MAX7219 drive then tailored towards the 8DSSSLED. The .NET Micro FramWork provides a SPI class so we don’t have to worry too much about working with SPI. We will learn more about the SPI in a moment. Let’s look at the overview of this class. All the methods and properties can be seen in the picture below. The MAX7219 class, most of the time, disables the BCDDecode mode and hence, controls individual segments to display alphanumeric characters. In order to use the Max7219 class we first need to create an instance of this class and directly call the Display related methods to show the test/numbers in the Seven Segments LED. In the example below we are also setting intensity, clearing the display, setting the textDirection to LeftToRight. We will talk about utilizing the Max7219 in output section so let’s look at the Max7219 class. Following section shows the constructor of the class. Notice the argument does not require any of the SPI pins rather it asks for the data pin which is I/O 10 in our case. You can see we first defined the SPI Configuration and then providing that to the new SPI instance. Then it jumps to Initialize() method. The Initialize method basically initializes some fields and then creates a Hashtable for the supported characters. It calls some other methods like EnableDigits, DisplayTest and ShutDown to make the Seven Segments ready to take the input. As these methods are defined public, we can call these outside the class when needed. 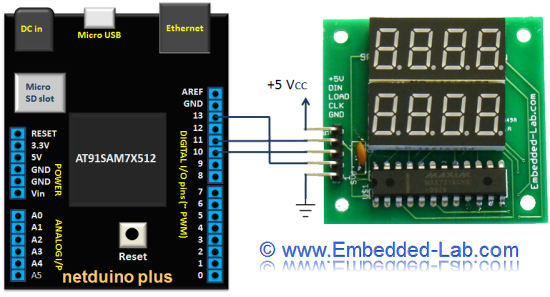 Let’s look at the basic methods that control the Max7219 IC. Now, let’s look the methods that controls the Display of the LEDs. The Blink method, simply shuts the unit down for the given time and it does that for given number of time. 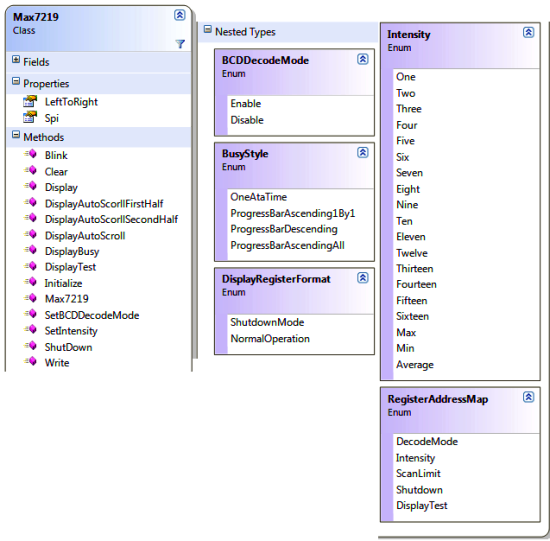 The main method that is responsible to show the information in the 8DSSSLED is the Display method where given string is looped for each character in the string then it calls the Write method through _Display method. The auto scrolling functionality is added on DisplayAutoScroll, DisplayAutoScrollFirstHalf and DisplayAutoScrollSecondHalf methods. DisplayAutoScroll uses all 8 digits of the Seven Segments LED whereas DisplayAutoScrollFirstHalf, and DisplayAutoScrollSecondHalf uses only first four and last four digits respectively. The first argument is the information to display and second delay argument to hold the display for that long until if scrolls to another character. The Max7219 class also provides some nice way to show a busy sign in the seven segments LED. It supports four major methods which can be doubled by setting the direction (clockwise/counter clockwise). Let’s utilize the Max7219 class and use it for displaying different results. Following example shows the auto scroll functionality on first four digits and then last four digits. The second argument in the method is delay to hold the display for that long. Now let’s use both first four and last four inside a counter loop and also change the brightness/intensity at the same time. Let’s send a long string to use all digits and change the LeftToRight to true and then to false to see the scrolling effect. As mentioned earlier, the Max7219 class offers some busy signs, progress bar, so let’s take a look. 1) C#.NET solution (Code) file. do this program and experiment runs on arduino uno? 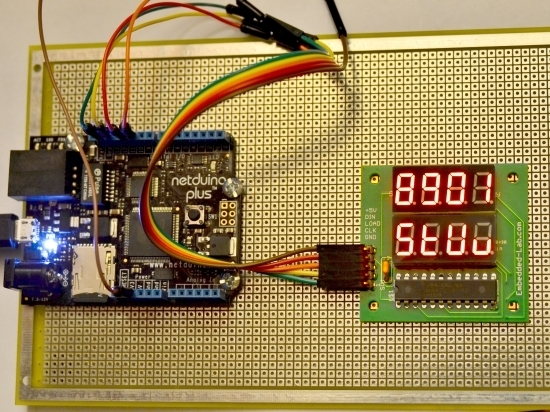 with the same input pins to the SPI 4-digit seven segment LED display?